We are sad to report the passing of songwriter Jack Hardy. He was an important figure in the Greenwich Village folk scene and his songs are sung by singers around the world. Jack was the host and organizer for a long running songwriter's circle in New York City that at times included Shawn Colvin, John Gorka, Lucy Kaplansky, David Massingill and many other well known writers as regulars. Gorka's song "Jack's Crows" was a tongue in cheek tribute to the circle. He was the founder of the Fast Folk Musical Magazine and its series of recordings that are now available from Smithsonian Folkways. Jack's own recordings were made for labels both here and in Europe and there was a 10 disc retrospective of his work from 1965 to 1995. His recent work is on his own Great Divide label. Jack will be missed by his friends and fans worldwide. One of the few "Jack's Crows" live versions (recorded by Maureen Jacobs Oct 23, 2008 in Bakkeveen, the Netherlands). Jack Hardy was a hero of mine who became a friend. He encouraged me to write songs when I needed encouragement the most. I attempted a version of his song "Potter's Field" on Friday night after hearing the news of his passing. I can't believe he's gone. The first opening act I did at Godfrey Daniels Coffeehouse was in June of 1979. Russ Rentler and I did a set as The Razzy Dazzy Brothers opening for Jack. That whole summer I listened to Mirror of My Madness and The Nameless One. Hearing Jack play that night and talking to him about songwriting changed my life. I'm very glad to have known him, but I wish he were still here. Click here to listen to a live version of the John Gorka song "Up until then" by Jack Hardy, Margo Hennebach & Shawn Colvin. 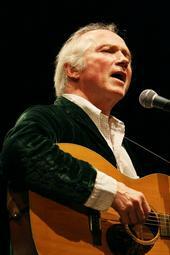 Here is a link to the Fast folk tribute CD "A Tribute to Jack Hardy"